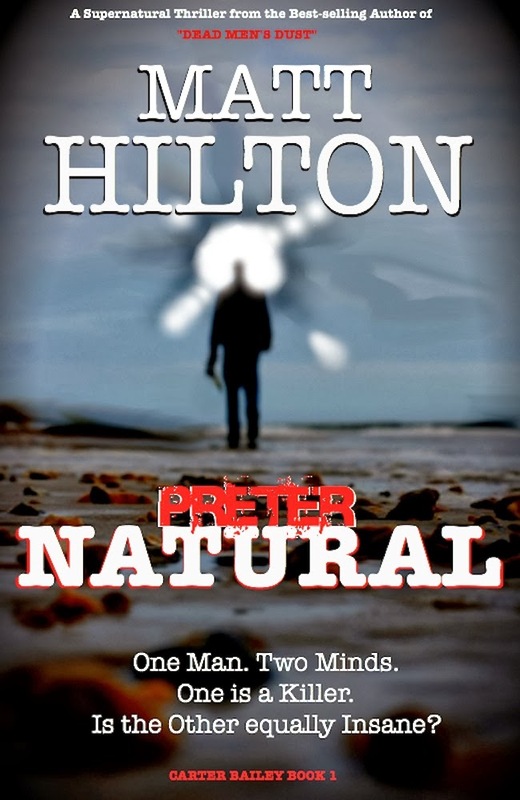 A supernatural thriller from Matt Hilton - the best-selling author of 'Dead Men's Dust'. On the remote Connor's Island in the North Atlantic, archeologists unearthing an ancient viking settlement have loosed a curse upon the land. People are dying, and everyone is in fear of the Haugbonde and his monstrous servant, the Skeklar. To catch a monster you must think like a monster. Carter Bailey is the unfortunate vessel of two spirits: his own and that of his dead brother ‘Cash’, a serial killer who murdered Carter’s wife and unborn child. Most people think Carter delusional, and he suspects they are most likely correct. Only one man, horror writer Paul Broom, believes that Carter is blessed with abilities bordering on the supernatural. Is the curse true, is a creature out of legend killing the people of Conn, or is the murderer firmly entrenched in the real world? Which begs another question: is Carter Bailey as crazy as he thinks, or is he a man with astonishing powers and the ability to sniff out evil? Mad or blessed with powers, it doesn’t matter, it’s down to Carter - both hindered and helped by Cash - to end the Skeklar’s hellish reign of terror.